We can supply printed leaflets, flyers and business cards. 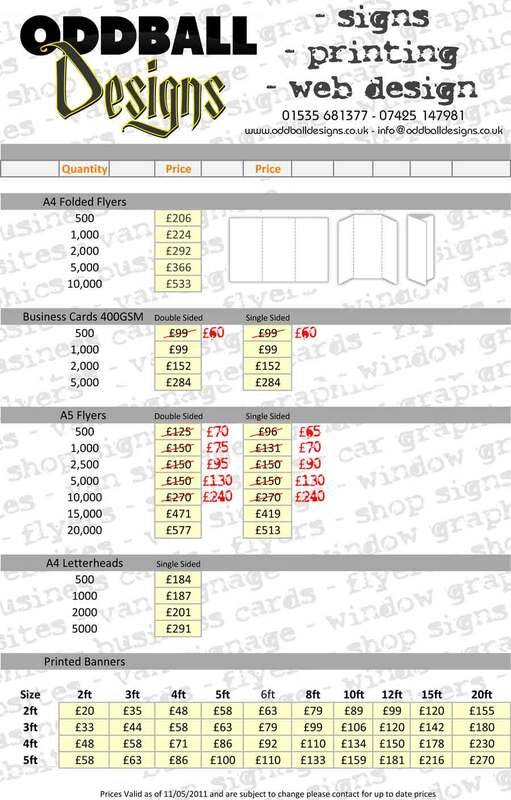 We offer A6, DL, A4 and A5 leaflets and all are printed onto high quality 170gsm gloss art paper. We can design and supply to almost any requirements. We can assist you with your artwork if required. And with instant prices, a choice of materials and colours (including full colour) and a friendly team you can be sure that we will try to help you get noticed.